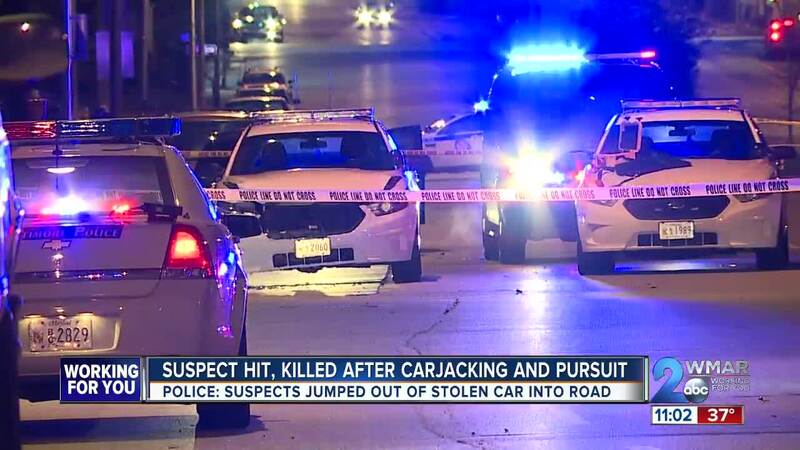 A carjacking suspect was struck and killed by a police car following a pursuit that stretched from Baltimore County to Baltimore City. 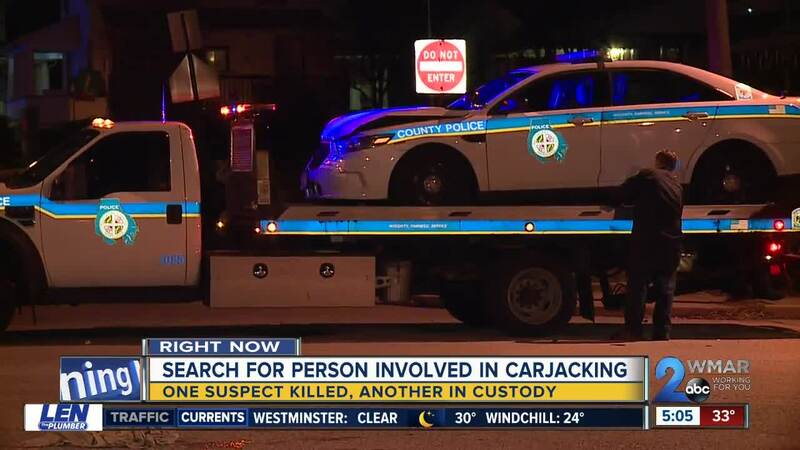 BALTIMORE (WMAR) — A carjacking suspect was struck and killed by a police car following a pursuit that stretched from Baltimore County to Baltimore City. Baltimore County Police say it happened at around 4 p.m. Sunday, when three suspects threatened a pizza delivery man with a gun and then stole his car while he was making a delivery in the 3400 block of Merle Drive in Milford Mill. A patrol officer spotted the suspects inside the stolen car near the intersection of Liberty and Essex roads and tried to stop them, but police say they kept going, leading police on a miles long pursuit into Baltimore City. As they turned onto Northern Parkway, the suspects threw a gun out of the car that police were later able to recover. Then, about two miles down Northern Parkway near Highgate Drive, the three suspects jumped from the stolen car and one was hit and killed by a Baltimore County Police car. Monday, Baltimore County Police identified the deceased as 20-year-old Dion Lamar Taylor of the 3200 block of West Rogers Avenue in Baltimore. 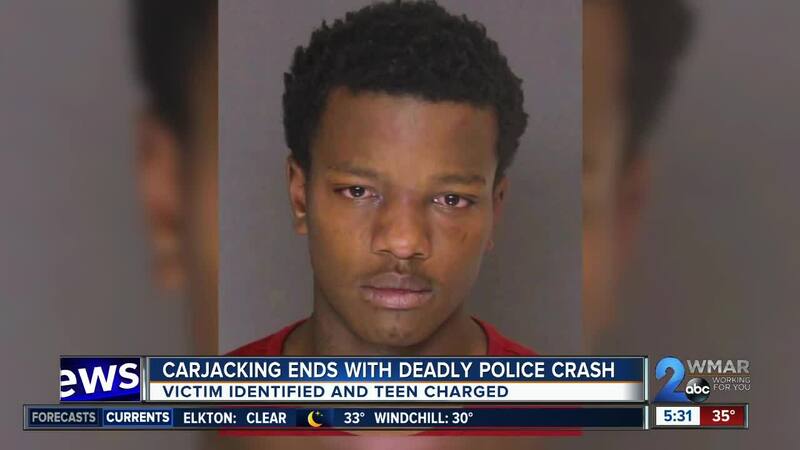 Police also identified a second 16-year-old suspect who will be charged as an adult. Taron Donta Kelly, of the 5000 block of Truesdale Avenue in Baltimore's Frankford neighborhood, was charged with armed robbery, armed carjacking, motor vehicle theft, possession of a handgun, and being a minor in possession of a handgun. He is being held at the Baltimore County Department of Corrections on denied bail status, police said. An additional suspect was taken into custody at the scene and the other remains at large. According to police, at least one suspect is a teenager, but they wouldn't release any other details. The officer and delivery driver were not injured. Detectives with the Baltimore City Police Department's Crash Team have taken over the crash investigation as Baltimore County investigates the carjacking.